Review PrimaLuna DiaLogue HP amplifier by HiFiClube.net! 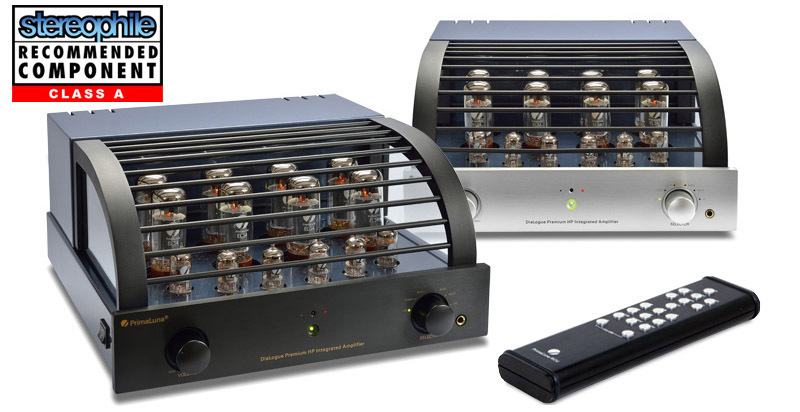 Mr Joseph Victor Henriques of HiFIClube.net in Portugal has reviewed our PrimaLuna DiaLogue Premium HP integrated amplifier and HP poweramplifiers in combination with the Sonus faber Olympica II loudspeakers! Interesting to read his conclusions on the effects of use of different tubes. The full review (Portugese language) of JVH you find on the website of HiFiClube.net. Click HERE. The translation into English you find below. Manuel Dias and Luis Campos proposed to JVH the following challenge: spend an evening with the new PrimaLuna HP amplifiers in both the stereo power and integrated version (with the DiaLogue Premium Preamp), which both allow power tubes swapping “without pain” as these are ready for use with EL34, KT88, KT120 and KT150. The setting of the tube bias is automatic (autobias) and, therefore, the process is very simple and quick. Having a PrimaLuna ProLogue Premium CD Player as a source (also with tube stages) and with Sonus faber Olympica II connected with Transparent Cables, we listened to pop, rock, classical, jazz and even Portuguese folk music. 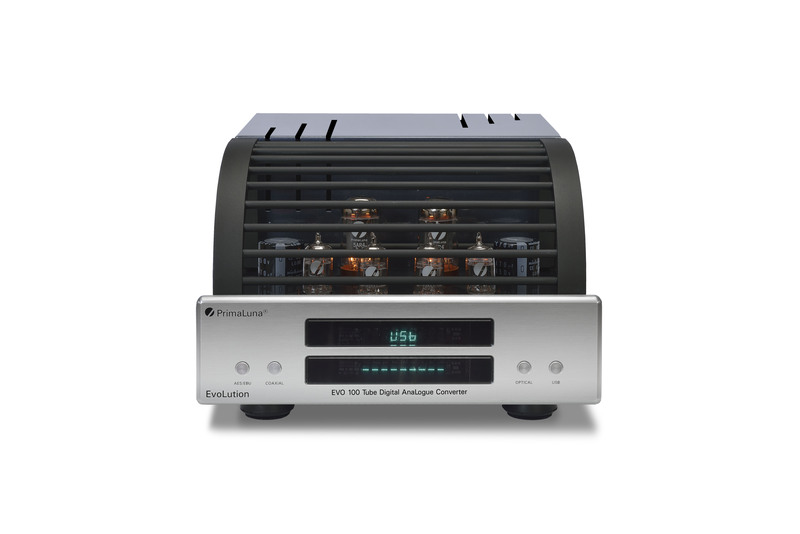 Tube amplifiers are like roasted chestnuts in autumn. The desire takes us by assault with the vision on the yet distant Christmas. Tradition doesn’t mean stagnation of ideas to PrimaLuna: the essence is maintained and the brand improves on what, being secondary, makes the fruition of tube amplifiers a much more pleasant and easy experience. Therefore, PrimaLuna has the autobias function and the possibility of selecting on the remote control (without interrupting the audition) the ultra linear and triode modes of the same set of tubes. These are indeed a revolution in the continuity of their designs. All these innovations expand the horizon of the listening experience, allowing the listener to choose the type of sound he likes best – and all without changing the amplifier. This is something that with solid state amplifiers is not possible – try to change the transistors with the remote control! Do you prefer the more relaxed sound of the triode mode or the dynamics and projection of ultra linear? Just click on the remote and a led changes from green (triode) to red (ultra linear). And the tubes are like candies – to each color one flavor. Ranging from the classic EL34 to the more vigorous KT88 and KT120 right through the amazing KT150, which is now adopted by a great number of high-end manufacturers. Just put on the white glove and start to substitute one by one the 8 tubes which are in command of the power. The 6 x 12AU7 (that in the past where only 4) remain fearless in the front line like a Pretorian guard. 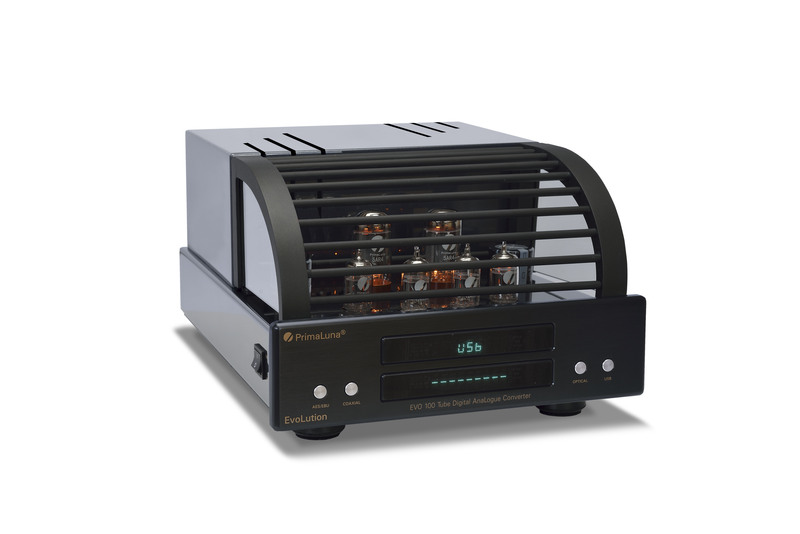 A switch on the side of the amplifier optimizes the performance of the EL and KT tubes. This week I have the pleasure to attend a listening session, directed by Luis Campos, for which one of the excellent auditoriums of Imacustica in Lisbon was reserved. That turned out to be a debate and a serious test performance of the new integrated and stereo power PrimaLuna Dialogue Premium HP and to my hearing ability. Luis Campos has set up a system with the above amplifiers, a DiaLogue Premium preamp to complement the stereo HP and a ProLogue Premium CD player, sending the music signal to a pair of Sonus faber Olympica II loudspeakers with Transparent cabling. What sets immediately the HP series apart from the original DiaLogue amps is the use of 6 tubes on the driver stage and 8 on the output stage, this way doubling the available power in relation to the DiaLogue Premium. We started listening to the stereo power HP with EL34 and the integrated with KT150. After these tube teams changed places in order for us to evaluate in which measure the qualitative differences where due to the KT150 or the amplifiers – of course the source, speakers, cables and the music remained unchanged. During the auditioning, we switched often between triode/ultra linear, until I arrived to the conclusion that the last one is more universal in the way it reproduces all types of music, being a great all-rounder, sounding more controlled, dynamic and with more presence. This is also due to the fact that in ultra linear mode the amplifier supplies much more power. On the other side the triode mode is more relaxed, more natural and organic and, may I say, with a bit more ‘soul’. If you favor triode amps, go for the integrated HP because the difference between triode/ultra linear is less significant than with the stereo HP. By the way, with the KT150 the HP supply about 90W/channel against the 70W of the EL34. Not always ‘more’ means ‘better’ but in this case the superiority of the KT150 clearly justifies the high cost. To the point that I preferred the integrated with KT150 than the stereo with EL34. Putting the KT150 on the stereo HP, restored it’s superiority above the integrated. The transparency and detail, allied to the dynamics and bass control is so obvious that only an impressionist will prefer the EL34. So, the best quality/price relationship goes to the integrated with KT150, because it doesn’t need a preamp and only loses a point or two on the control and body of the sound. It will be extremely difficult for you to buy a solid state integrated with this amazing quality of sound for this kind of price. Find more information about the PrimaLuna DiaLogue Premium HP Amplifiers HERE and HERE. If you wanna follow what’s happening day-by-day, please goto our PrimaLuna Facebook page.